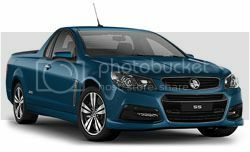 The VF Holden Commodore is a significant facelift of the VE Commodore, released in June 2013, characterised by major cosmetic changes to the exterior and interior. 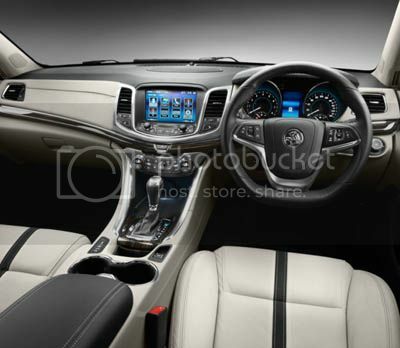 WM Caprice carried over into the WN series with minimal exterior changes and new VF-style interior. The model received an upgrade in November 2014. The VF was marketed overseas as the Chevrolet SS, and the Chevrolet Caprice PPV in WN Caprice form. Replaced by the VF II Commodore in October 2015. 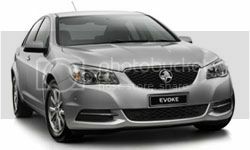 Evoke, 3.6L, V6 LPG, Sedan/Sportswagon, 180kW@6000rpm, 320Nm@2000rpm. 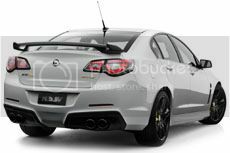 SV6, 3.6L, V6 LPG, Sedan/Sportswagon, 180kW, 320Nm. 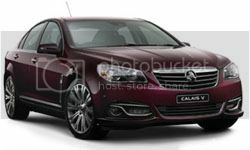 HSV released the Gen- F series models in July 2013, based on the VF Commodore facelift. Information at introduction of each model. Clubsport R8 Tourer SV, 6.2L, LS3 V8, Wagon, 340kW, 570Nm. * As at introduction of VF model, June 2013. 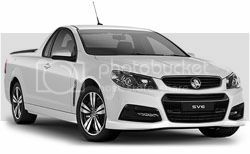 The VF Commodore was used by teams running Holdens in the International V8 Supercar championship in the 2013-2015 seasons. Holden Racing Team was the factory-Holden team present in the series. For the 2013-2015 V8 Supercars seasons, HRT were racing two VF Commodores, #2 Garth Tander and #22 James Courtney. 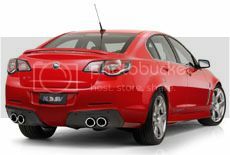 Click to go to Holden Racing Team. The Chevrolet SS competed in the NASCAR Sprint Cup Series having made its debuted in 2013. 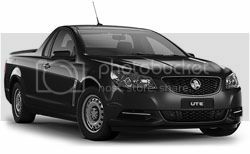 Images from Holden, Holden Special Vehicles, Chevrolet or GM Fleet unless otherwise specified.